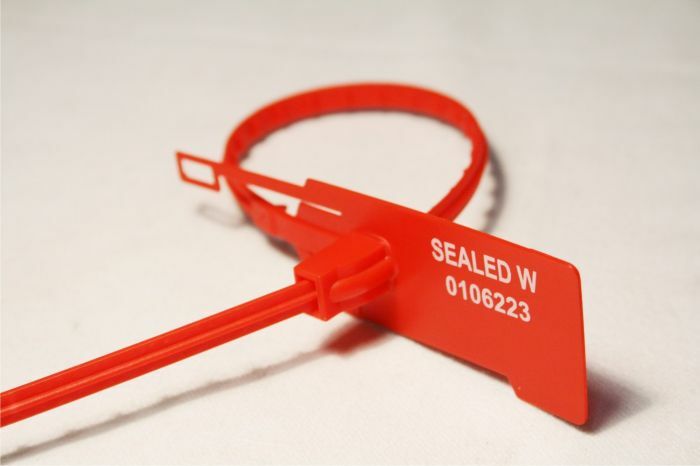 Our adjustable pull-tight security seal “Easy & simple” are robust security seals for multiple applications. They are self-locking, easy to use and can be opend with a built-in opening mechanism. No tool is required at all. The seals are of a polypropylene co-polymer with high density. 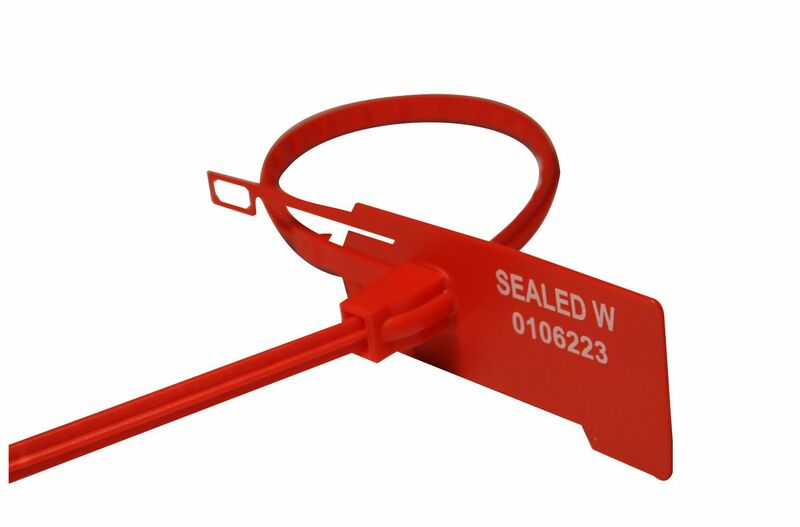 This cinch-up seal has a robust, 6 mm strong wire which can be locked in various positions. The number of locking positions depends on the length of the seal. This seal is available in 2 different lengths and various colour. Each seal can be preprinted on request, please note the minimum order quantity of 10.000 pieces without any surcharge, 5.000 pcs in special cases with a small extra charge. In our standard version, the text “SEALED” and a consecutive number is printed on each seal. Our cinch-up seal “EASY & SIMPLE” can be preprinted with a maximum or 2 lines with 11 characters per line. The MOQ for preprinted seals is 10.000 pcs without surcharge. In addition, this security seal can be preprinted with a bar code. Our pull-tight seals are very easy to handle without any tool requirements. This seal is self-locking and functions like a cable binder. Once the seal is closed, you can only remove this seal by destroying the whole seal.